The principle benefits of robust design are widely accepted. Robustly designed products, devices, and production equipment are less sensitive to variation leading to accelerated time-to-market, reduced ramp-up costs, more consistent product quality as well as improved customer satisfaction. At the same time, there is still a large gap between robust design in theory and in practice. In spite of well-described development processes and considerable effort for quality initiatives, many companies still experience immense challenges to efficiently account for variation of manufacturing/ assembly processes, material properties, loading conditions, ambient use conditions and time related changes such as creep and wear. DTU’s annual Robust Design Day therefore aims at bringing together researchers and practioners focusing on applied Robust Design and Variation Management in Design and Production. The objective is a regular platform for discussions and a fruitful knowledge exchange on experiences, solutions and challenges faced. 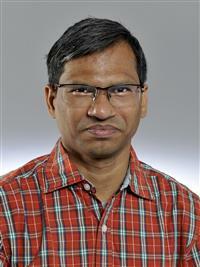 Head of Robust Design Group, Section of Engineering Design & Product Development, Department of Mechanical Engineering, DTU. Member of Design Society Advisory Board and Chair of the Robust Design SIG. 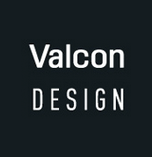 CEO and co-founder of Valcon Design. Mechanical and Robust Design specialist and one of the pioneers of the Six Theta robust design paradigm. Subject Matter Expert - Dimensional Management at Jaguar Land Rover. Previously MD of Dimensional Management Solutions, and DVA engineer at Aston Martin. Aerospace. Previously at SAAB auto and Volvo Aero. Six Sigma blackbelt. Published author with and regular thesis opponent with PhD in Quantum Chhemistry! Ex MIT Professor and Leading expert in the field of variation control in Design/production and author of seminal text: "Variation Risk Mangement – Focusing Quality Improvements in Product Development and Production". Ian has worked for Digital and Motorola, was a Six Sigma Black Belt and also worked with Motorola University. Head of the department of Product and production development while being Director for Wingquist Laboratory including its VINN Excellence centre for virtual product realization. Ian Cox SAS Institute, Inc.